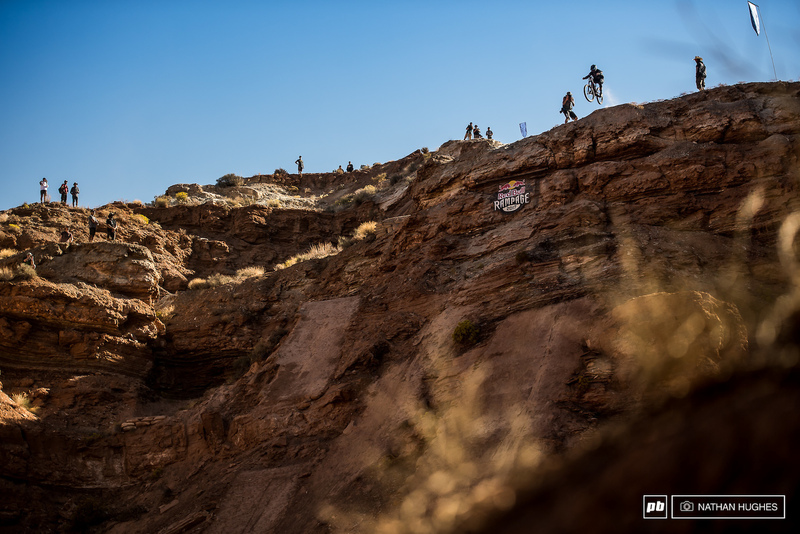 Building a winning line here at Red Bull Rampage – and building a line that is going to get you off the mountain safely, can be a bit of an oxymoron. 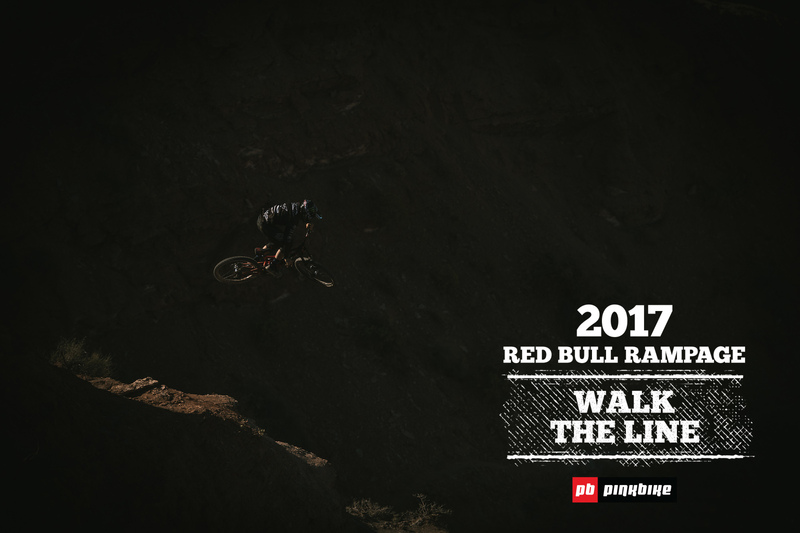 In past years riders have sketched in their own lines between existing features, but now they build their lines top to bottom and have more freedom to express their own personal visions. 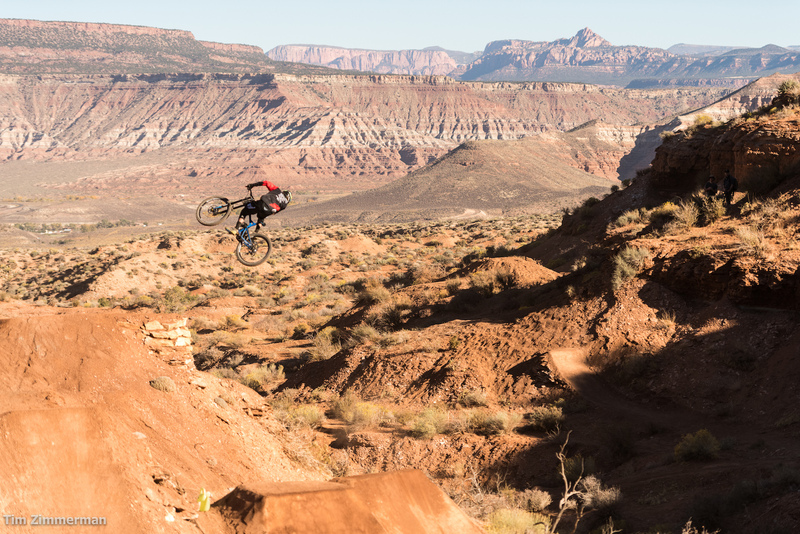 Geoff Gulevich competed at Rampage for five years and has been a judge for the last two – “You need to build a line that you can find some sort of comfort in riding, but at the same time be able to push it. And that’s definitely on a different scale for every athlete here. 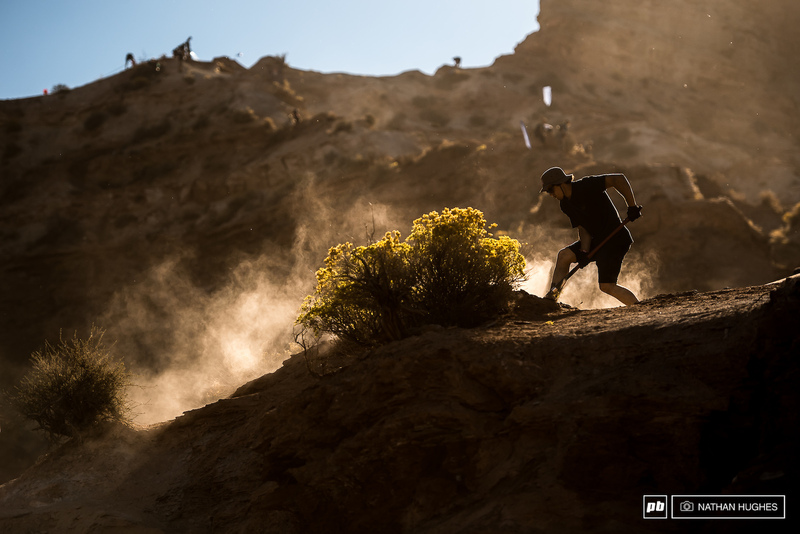 Everybody has something unique to bring to the table and there’s more that one way to skin a cat.” And he’s right; at the end of the day what person throws down here in finals is completely unique to the individual, so we talked to a few of them about finding that tricky balance between comfort and winning. 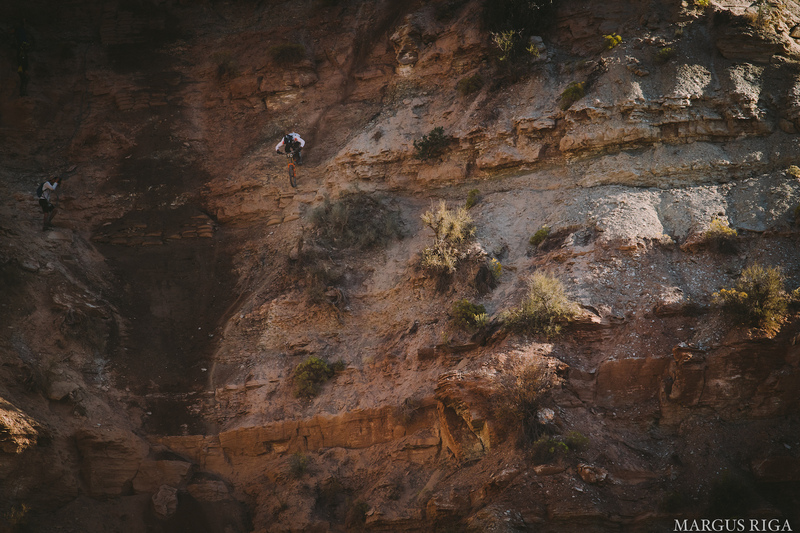 Andreu Lacondeguy exits an impossibly steep chute at warp speed. I don’t think that a [winning and safe line] exists. 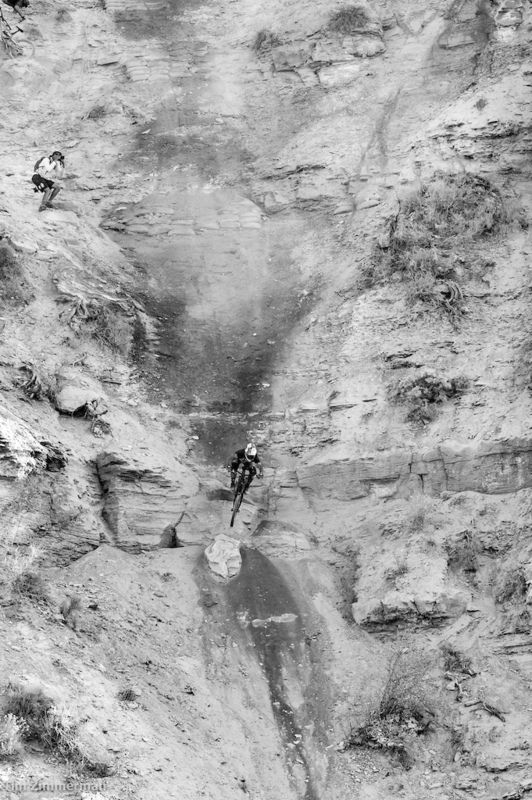 Maybe back in the day it was more like some people would have their riding so dialled that if they had a chill line they could win. But man, I think that now everyone is almost on the same page – just sending it. Even if we have two runs, I think that everyone is kind of on the first run program, like everyone wants to just send it and get it out of the way and then see what happens. But making it safe and then winning – I don’t know, it would be pretty crazy. Sorge throwing down in practice. 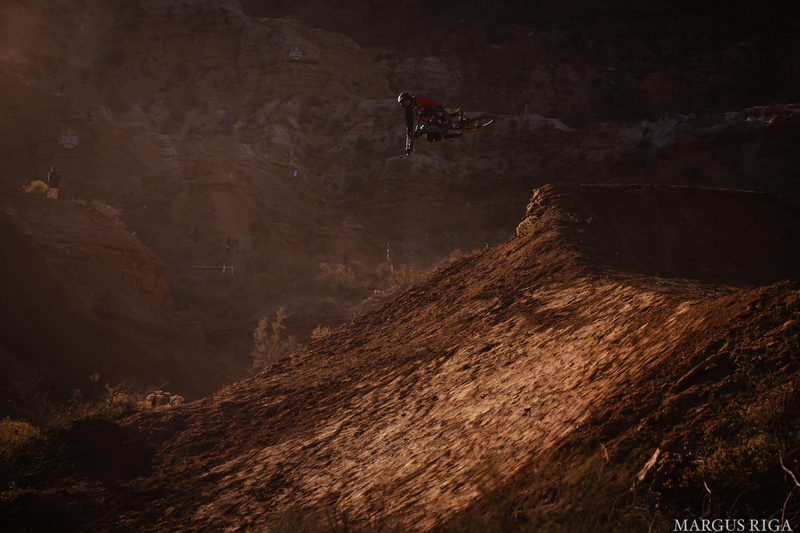 4th place last year with a lot more to give on his burly line, Kurt Sorge wants to get to the three-peat first. 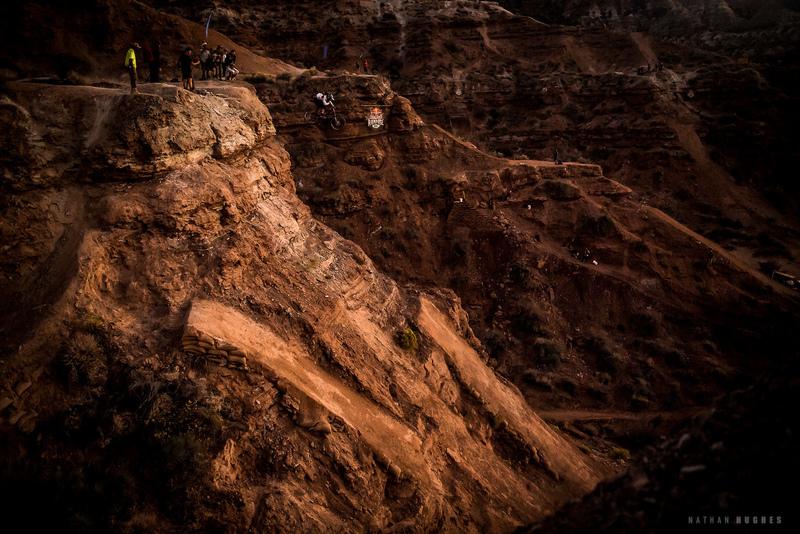 There’s definitely got to be a formula for [building a winning line and getting down the hill safely] for sure. 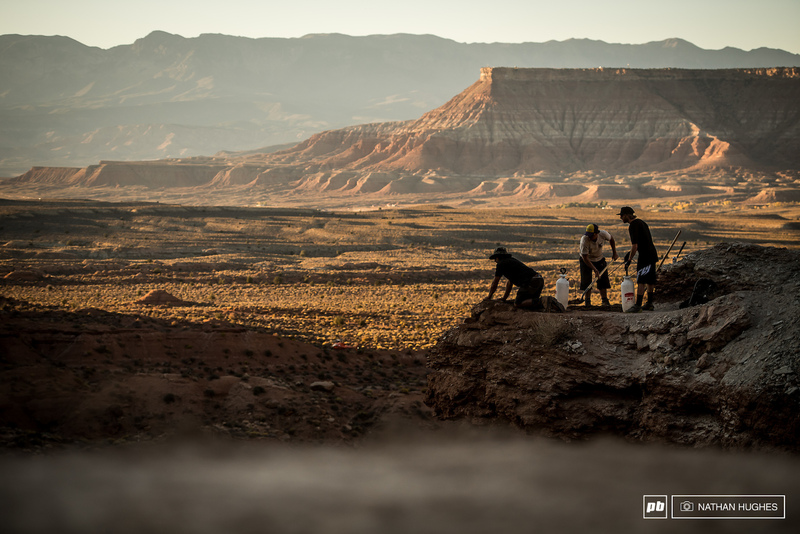 I think that’s a big part of the strategy with line choice, you’ve got to build a line you know you can ride and that works to your skill set and is gnarly enough to be a contender if you put it down. Bas making it his own. My approach to that would be – you just build a line that suits you exactly. 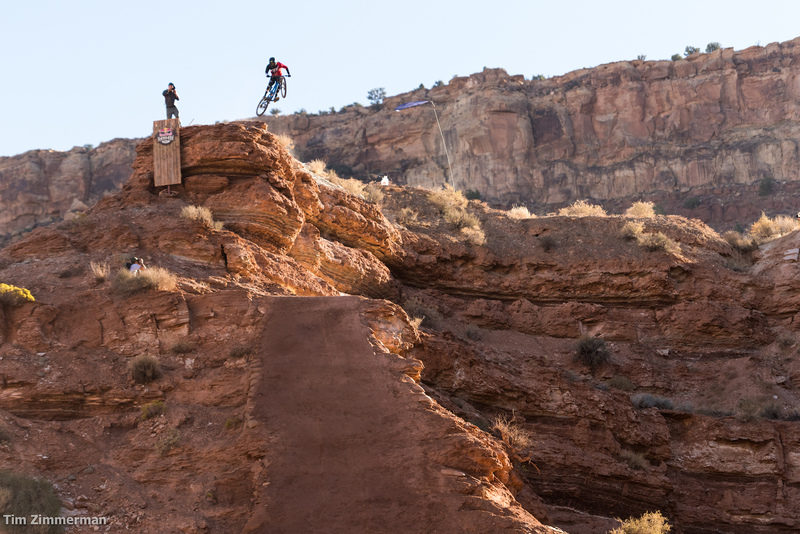 That’s the beauty of Rampage is that you build your own line completely and how you want it. Your strengths are different than other people’s strengths, so you definitely are out of the comfort zone, but you know how to ride it. And then the second thing is getting a few tricks in, is definitely key. Tricks you know you can do, but doing them well and making everything flow – you can piece it together that way. 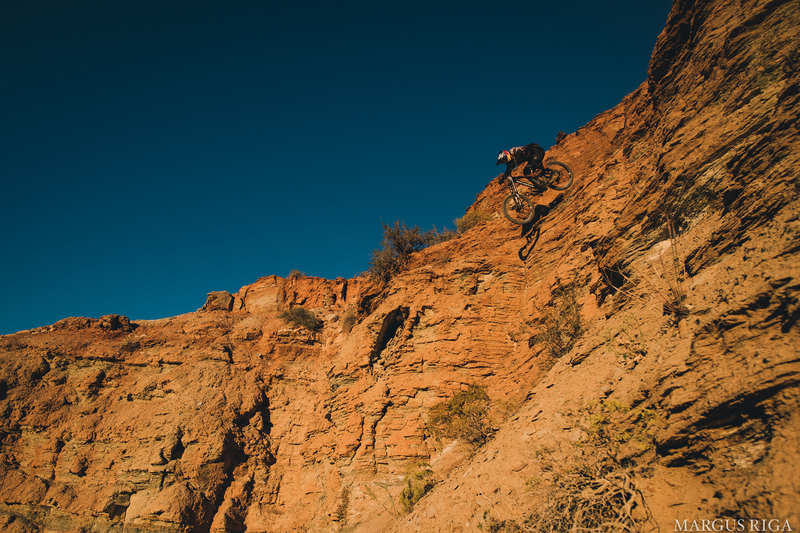 Antoine Bizet barely notices the massive amount of exposure on his way from the top through the rest of his line. For the bottom I have a few new [things] too so I’m excited about pushing it. I personally was pretty good on my last year’s line and I don’t want to get injured again, so I prefer to increase, because the goal is to ride it way better and faster and bigger than last year, so increasing the line – I know it’s not the trend really, it’s cooler to have a new one for sure, but that’s how it is. I’m feeling better than last year on the line. Want something done properly, you know what to do... Storch mucking in with the build. This is the best way to escape a zombie attack. Carson Storch gets away with brains intact. What kind of madness can we expect to see off Zink's burly elevator drop for finals? 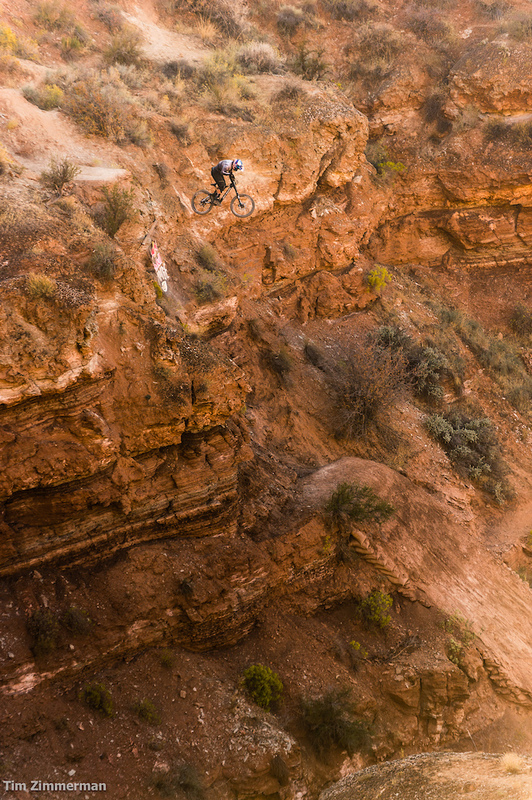 Cam Zink greasing his gargantuan step down to the road. You don’t come to a contest to get second place and you don’t film a video part half-assed, you put in the best run you can. 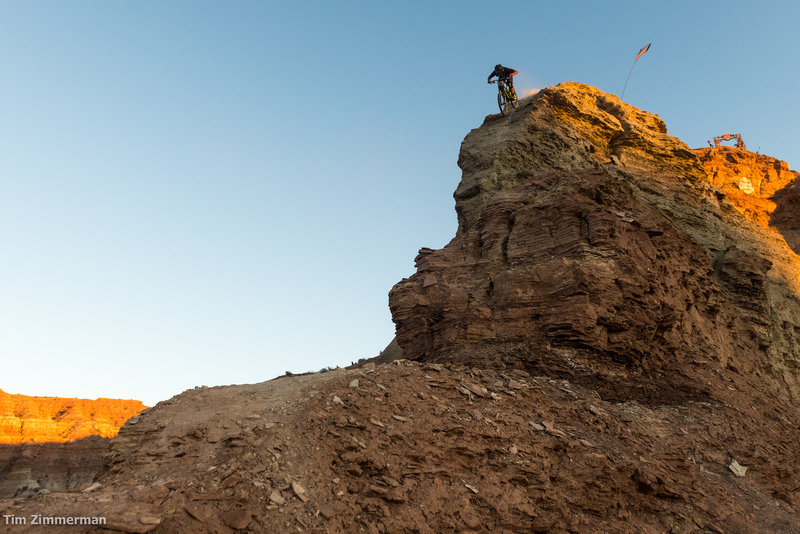 Here it comes down to: you can only ride what you build and you have to strategize pretty well because you can easily bite off more than you can chew. Being the second year [at this venue] it’s a little easier because we already had a line established. We had to put in a couple days to get it back running but now the rest of the focus is on top and elevating it. The rest of the line we just tightened up a couple things. Like our set-up jump wasn’t much of set-up jump because you still had to brake after, but we didn’t have time to adjust it to make it a proper set-up jump. [We are] just thinking about things to make it flow better, things that you wouldn't even see – like a spectator or the judges, but it makes it easier to ride and flowier. And up top, it eliminates the whole ridge. Getting off the ridge and then finding the best way down was the goal. 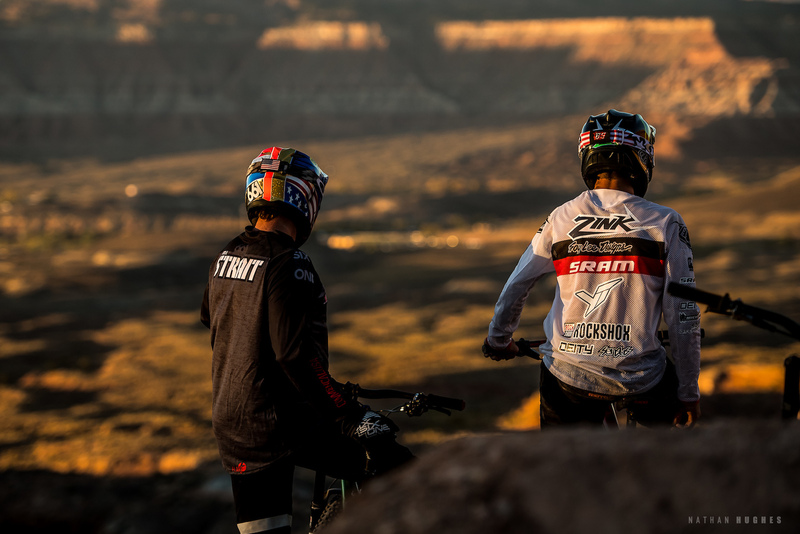 Zink and Strait picking their way down the hill, ticking off monster gaps. audio is horrible... how many freaking languages and people do we have talking over each other? Will there be a replay after the event? Work is in the way and I don't want the NBC version a month from now.. The Bizet and Storch pics are insane. Where are they going/landing??? Connor and Reed out. Anyone know what happened? No more work for today!